A squeeze ball is a tool that you use whenever you feel stressed. Stress reliever balls have been used mostly in offices where workers don’t have physical activities to clear their minds. However, a hand squeeze ball can have other benefits besides decreasing your stress level. In this article, I will try to answer questions like: How do stress balls work?, What is a stress ball? And Where to get stress balls? We will also present other methods of decreasing the stress levels besides using a stress ball. What Is a Squeeze Ball? 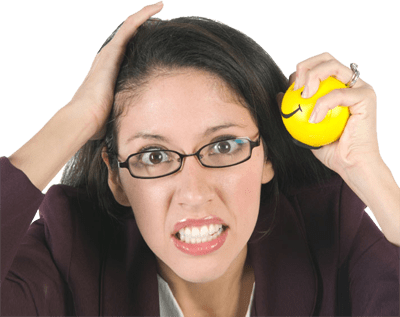 Why Stress Balls Are Effective? How to beat high blood pressure? Does Exercising Lower Blood Pressure? What happens to blood pressure when you exercise? Can Stress Balls Build Muscle? Where to Get Stress Balls? How Do You Make a Stress Ball? A hand squeeze ball is a malleable toy that, as the name says, can be squeezed in hand. It relieves stress and muscle tension. Ball pressing is useful when you are stressed. We tend to clench on to something, our bodies are tensed, and this is when a stress ball can make the difference. Squeezing and releasing a stress ball can make you feel less nervous. Thus, you will feel relaxed and clear minded. If you have high blood pressure, there are plenty of ways to lower it. You can try to lose some weight by exercising regularly and eating healthy foods. You can also decrease your blood pressure by consuming less sodium, alcohol, cigarettes, caffeine and by reducing your stress level. When it comes to stress, a squeeze stress ball can do wonders, so take that into account. Yes, exercising is beneficial for your body, especially if you have high blood pressure. You can start with thirty minutes of physical exercise every day, by going on a bike ride or jogging. You can also get a gym membership if you want to work out regularly. When you exercise, your blood pressure can go down by four to nine millimeters of mercury. So besides jogging and cycling, you can go out for a walk, take a swim or dance. Lifting weights can also lower your blood pressure levels. However, we recommend that you talk to your doctor first before hitting the gym. When you work out, your blood pressure lowers. If you have prehypertension, physical exercise will help you avoid hypertension. If you are suffering from high blood pressure, physical exercise can reduce your blood pressure to safer levels. In any case, combine a healthy diet with physical exercise to get the best results. Breathing exercises to lower blood pressure are not uncommon. They are usually used when someone is stressed or is in pain. Many doctors and trainers recommend that you start some breathing exercises when you are stressed or can’t go to sleep. Equal breathing is an exercise made for lowering the blood pressure. Inhale through the nose, count to four, then exhale and count to four again. Use this cycle eight times. You should feel a light sensation of ease. You can combine the two methods above to decrease your stress levels even further. Stress balls can increase the strength and grip of your forearm, but that’s about it. You are mostly using your fingers, so do not expect this move to affect your biceps or triceps. You can get them from toy stores, pharmacies, sports stores. You can even find them at some gyms. However, if you don’t want to complicate your life, you can order them online. You will need a balloon that you can fill with 240 grams of flour, baking soda or cornstarch to make a firm stress ball. If you want a looser stress ball, use dry rice lentils, split peas, small beans or fine play sand. Wrap the balloon and place it in another balloon. Do this until you achieve a decent stress ball size. You can also make your stress ball out of a sock. Get a small ball and wrap it around memory foam. Once the ball is all wrapped up, sew it until you have something that resembles a ball. Now, cut off all the excess material and place the ball into a sock. After you put the ball into the sock, sew it and cut off the excess material. Now you have your stress ball. Depending on the ball and the memory foam you use, you will have either a soft stress ball or a firm one. Go with a rubber ball instead of a golf ball so that you won’t feel the core of the ball. Besides the benefits, we listed above, a stress ball can help you with other problems. For example, if you are paralyzed temporarily in your arm, a stress ball can help you work those atrophied muscles. It is the best exercise you can get besides lifting weights and so on. A stress ball can come in handy for those who have problems regarding arthritis or fractures. When you squeeze a ball, you rehabilitate and strengthen your hand. You will improve not only your grip but also your wrist. Stress balls are also great for guitarists and piano players who want to have more endurance when playing. 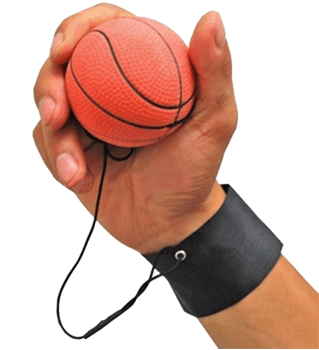 Besides boosting blood circulation, using a stress ball can help those who developed the carpal-tunnel syndrome. We’ve seen many guitar players with this syndrome, and a stress ball can be a great therapy for them. Even with so many benefits, we have to stress on the fact that you should consult a doctor before attempting to cure your stress or injuries on your own. If a stress ball doesn’t affect your blood pressure or your stress levels, you might suffer from something that may need medical attention. So please, talk to an expert first then purchase the ball, if it’s needed. What is the point of using a stress ball? Do stress balls work? These questions have been answered in this article. You can also search online for “nice balls stress ball” to find the right one for you.